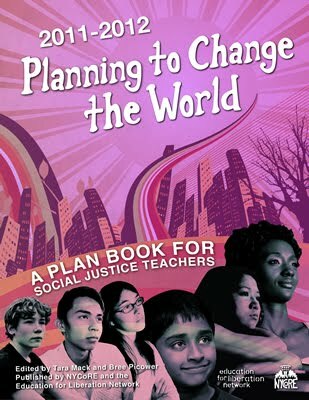 Teachers For Social Justice: Democratize Education! Democratize Chicago! Kali Akuno-an organizer, educator, and writer for human rights and social justice. 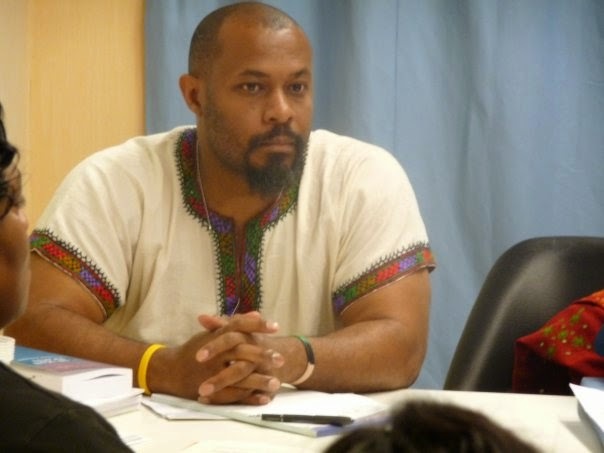 He is an organizer for the Malcolm X Grassroots Movement (www.mxgm.org) and former Co-Director of the US Human Rights Network (www.ushrnetwork.org). Kali also served as the Executive Director of the Peoples' Hurricane Relief Fund based in New Orleans after Hurricane Katrina. And he was a co-founder of the School of Social Justice and Community Development, a public school serving the academic needs of low-income African American and Latino communities in Oakland, CA. Kali has authored many articles and pamphlets on how government counterinsurgency, state violence, the drug war, mass incarceration and neoliberalism impact Black communities. Two of his most recent works include, Operation Ghetto Storm: Every 28 Hours and Let Your Motto Be Resistance: A Handbook on Organizing New Afrikan and Oppressed Communities for Self-Defense. Kali recently served as the Coordinator of Special Projects and External Funding in Jackson, MS in the administration of the late Mayor Chokwe Lumumba. He is also a co-founder and coordinator of Cooperation Jackson, an emerging network of worker and consumer cooperatives in Jackson (www.CooperationJackson.org). activist who led a walk-out at Whitney Young HS in 1995 to push for equitable funding for schools in Illinois. After college he worked at Englewood High School and was the union delegate there and joined a rank-and-file group of teachers to form the Renaissance 2010 committee within the Chicago Teachers Union. He and Al Ramírez formed CORE in May of 2008 and joined with community organizations in the Grassroots Education Movement. In June of 2010, CORE won the general election for the leadership of the Chicago Teachers Union, the third largest teachers local in the country. 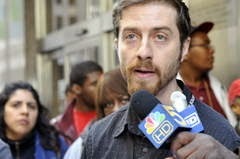 Jackson currently serves the CTU as the staff coordinator. 1. Continuing the Conversation: Dialogue on Strategy for Economic and Political Democracy. (Kali Akuno and Teachers for Social Justice). 2. Community Will in Action; Sustainable Community Schools and the Fight for Dyett High School (Coalition to Revitalize Dyett High School). 3. African and Mexican Cultural Materials for STEM Classrooms (Beatrice Lumpkin, Patricia Flagg Poole). 6. Talking With Youth About the Police: Activities & Resources. (Mariame Kaba, Project NIA). 7. Señor Presidente Le Vengo a Decir/ Mr. President I'm Here To Tell You: Using Traditional Community Music As a Catalyst for Cultural Justice in The Barrio. (Maya Fernandez, Stephanie Rodriguez, Jackie Rodriguez, Camilo Rincon, Alexee Castro, Rafael Rincon, Gina Gamboa, Raul Fernandez, & Laura Cambron). 8. A Practical Toolkit for Test Resistance (More Than A Score coalition including Chicago Teachers Union—Kim Goldbaum and Sarah Chambers [CTU], Sherise McDaniel [CPS parent], Emmanuel Murillo [Curie HS student]). 9. (special organizing workshop) Democratize Education, Democratize Chicago!-Next Steps. (Teachers for Social Justice and other members of the Grassroots Education Movement [GEM] and Communities Organized for Democracy in Education [CODE]). 14. Equip Students with Social Justice Vocabulary: Identity Webs, The Sneetches & More! (Genevieve Erker Caffrey, 4th-6th grade teacher). 15. From Chicago to Ayotzinapa: Education as a Site for the Fight Against Neoliberalism and State Repression. (Laura Ramírez, Rosemarie Domínguez, Jesus Chávez, Jennifer Juárez). AND DON'T FORGET TO REGISTER...HERE!!! Parking is available in the school parking lot AND across Kostner Avenue in the Cook Brothers parking lot, in the EAST side of the lot, nearest to Kostner and the HS.